This is currently my absolute favorite treat. After a workout, I often crave foods which are hearty and not too sweet. 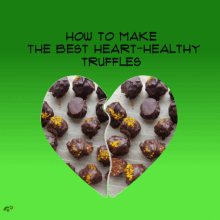 If you feel the same way, my best chocolate truffle recipe could be for you too. By the way, in case you want something for a mid-afternoon slump, this awesome chocolate covered mixture is the treat you need.